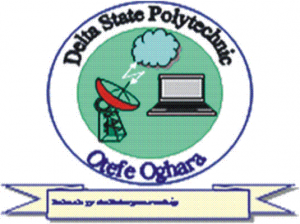 Delta State Polytechnic, Otefe Oghara (DESPO) Higher National Diploma (HND) Programmes Admission Form, Courses, Admission Requirements, Application Guidelines, Screening Dates, Time and Venue for 2018/2091 Academic Session. Authorities of the Delta State Polytechnic, Otefe Oghara (DESPO) hereby invites applications from suitable and qualified candidates for admission into their various Higher National Diploma (HND) programmes admission for the 2018/2019 academic session. Latest Update: DESPO HND Screening Test for 2018/2019 session has been rescheduled as follows: 16th of October 2018 - School of Applied Science and School of Engineering. 17th October 2018 - School of Business.